Many businessmen define a successful business as turning in a profit. But what is the point of that success if it unintentionally disappears in the blink of an eye? Once profit is generated, your success must be shielded and protected, for both business and personal assets. By nature, most entrepreneurs are optimistic, fast moving and risk-tolerant. Yet if you own your own business, everything you've worked so hard to achieve hinges on your ability in protecting your business! •	Accidents wherein a customer or client gets affected – examples: A patron gets sick from food you've prepared. A customer slips and falls in your store. •	Acts of God or natural calamities example: A massive snowstorm collapses your roof and shuts down business for three days. •	Accidents that affect your workplace or your employees – examples: Your office building is damaged in a fire. An employee picks up a client from the airport and gets into a car accident on the return trip. •	Legal liabilities – examples: A former employee sues you for wrongful termination. Many business owners either don't think about these possibilities or look at overall expenses and decide they'll take a chance and forego the premiums. But that's a gamble not worth taking. With the right types and amounts of coverage, you can protect your business from being wiped out by any one of these unfortunate scenarios. Just look around a business and see what's at stake- everything from furniture to fixtures, office equipment, supplies, inventory, and other assets. They all amount to a significant investment, so protecting them from loss, damage, or theft just makes good business sense. •	Liability insurance protects your business from lawsuits related to property damage or injuries suffered by someone else, for which you are held responsible. •	Business owner coverage combines property insurance and general liability insurance into one package. 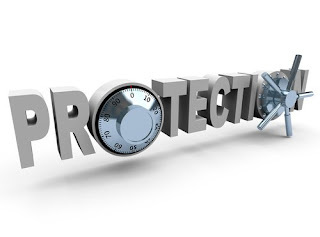 It's an affordable way to protect your business, although some of the coverages are limited. •	Business income insurance ensures that you get paid even if you lose income as a result of damage that temporarily shuts down or limits your business-such as a collapsed roof or computer system outage. Martha Blythe is a struggling entrepreneur. One of the very first things she did when she was setting up her business was to get a business protection plan.